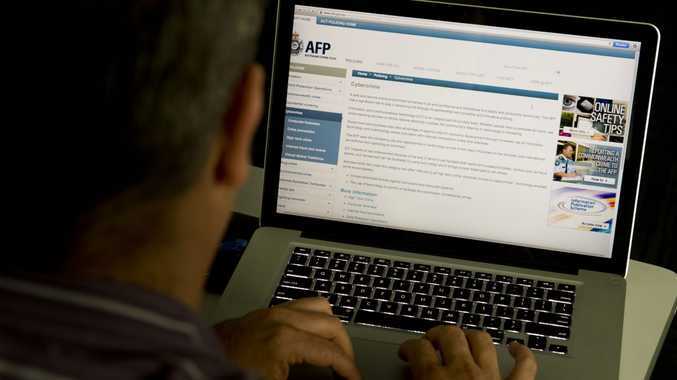 TOOWOOMBA residents are by no means immune to cyber crime and fraud, according to the man that is responsible with preventing it across the state. Operations commander of the Queensland Police Fraud and Corporate Crime Group Detective Superintendent Brian Hay delivered the blunt assessment yesterday to a shocked business community. 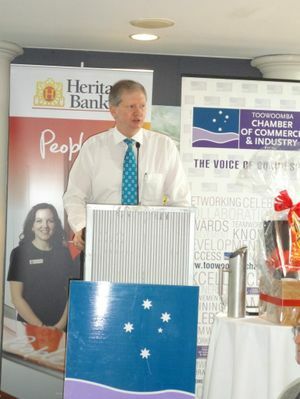 Detective Superintendent Hay was the guest speaker at the monthly Toowoomba Chamber of Commerce and Industry business breakfast held at Picnic Point. He told more than 100 business, industry and community leaders that the internet had become extremely toxic and was a breeding ground for criminals looking to make money. "If you are connected to the internet then you have already been compromised," Det.Supt Hay said. "There are no ifs or buts about it. "Every single person who uses it (the internet) has been compromised; they just do not know it yet," he said. Det.Supt Hay said criminal elements were using the internet to validate themselves to pry on unsuspecting people, businesses and companies. "Australia is the most connected nation in the world," he said. "More than 89 per cent of people are connected to the internet. "What is concerning is we (police) are always one step behind the criminals because of how much the environment changes on a daily basis." Det.Supt Hay said the cyber crime and fraud threat was very real and during his presentation showed those in attendance just how easy it was to gather personal information, especially from Facebook accounts. "You cannot discriminate on who sees your personal information on the internet . . . everybody can, irrespective of the measures you think you have put in place," he said. "Once it is on the internet, it is there for eternity. "Cyber crime and fraud will only continue to grow and grow." Have you fallen victim to cyber crime or fraud? This poll ended on 22 March 2013. Det.Supt Hay said authorities were only beginning to understand how much of a threat cyber crime and fraud posed. "Last year, only 14% of people in China were connected to the internet," he said. "This year that figure has risen to 33%. "The Chinese government sponsors a 40,000 strong hacking team to gather information because they realise information is powerful. "The Chinese hacking team has compromised every top 400 company in America." Det.Supt Hay said one of the biggest emerging threats was "ransomware". "It is by far the biggest new threat we have seen," he said. "It is when a business is hacked and all their data is encrypted. "The criminal then holds you to ransom with the sequence key required to unlock the data." Australia is the most connected country in the world with 89% of people having access to the internet.